For centuries, the Tower of London has been home to a group of famous avian residents: the ravens. Each year they are seen by millions of visitors, and they have become as integral a part of the Tower as its ancient stones. But their role is even more important than that—legend has it that if the ravens should ever leave, the Tower will crumble into dust and great harm will befall the kingdom. The responsibility for ensuring that such a disaster never comes to pass falls to one man: the Ravenmaster. 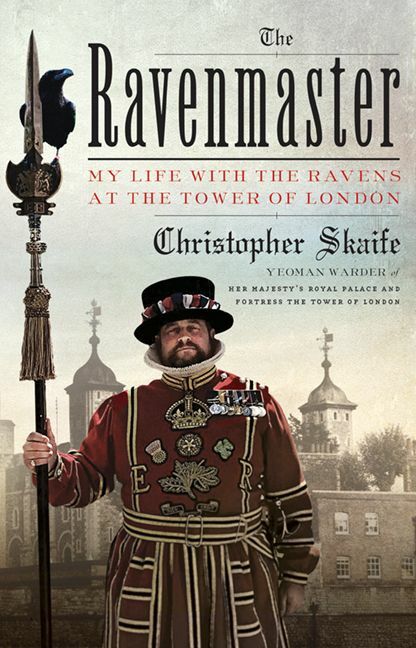 The current holder of the position is Yeoman Warder Christopher Skaife, and in this fascinating, entertaining and touching book he memorably describes the ravens’ formidable intelligence, their idiosyncrasies and their occasionally wicked sense of humour. The Ravenmaster is a compelling, inspiring and irreverent story that will delight and surprise anyone with an interest in British history or animal behaviour.